Just a few weeks after picking it up off turnaround from Fox 2000, New Line has tapped Chris Eyre (“Smoke Signals”) to direct “Roustabout,” to which Winona Ryder is attached to star. 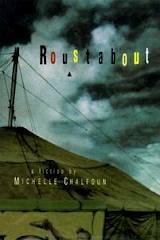 Newcomer Kathleen Orillion has been hired to adapt Michelle Chalfoun’s 1997 debut novel about a modern day female circus roustabout. Ryder also will produce the pic along with her manager Carol Bodie and Ross Grayson Bell (“The Fight Club”). The trio also are producing “Lambs of God” for Fox 2000. Book is a coming of age story about a young woman who struggles to find a way out the shadows of the big top, under which she has grown up since she was abandoned as a child. New Line VP of production Donna Langley will oversee the pic for the studio. Eyre is repped by the William Morris Agency. Though the project had been brought into Fox 2000 four years ago, Orillion is the first screenwriter to mount the project. Orillion, who lives in Austin, Texas, has worked with Terrence Malick on several screenplays in the past, none of which has been produced. 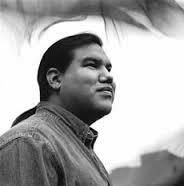 Stemming from that relationship, Orillion recently pacted to pen a screenplay based on George Sand’s “The Devil’s Pool” for Malick’s new production venture withproducer Edward R. Pressman, Columbine Prods., which has a development and distribution pact with Sony Pictures Classics. Orillion is repped by the Artists Agency’s Merrily Kane.